Whether you’re for it, against it, or could really care less, most everyone has heard the argument that cannabis encompasses a wide range of health benefits. But can cannabis act as a preventative health measure? Growing evidence has suggested that consuming cannabis in low doses may assist in preventing some major health issues. Many doctors either don’t know or aren’t willing to discuss the best method of consumption, strains, or the correct dosage of cannabis for patients that are diagnosed with a disease that cannabis could potentially assist in relieving symptoms of — and with marijuana being federally illegal still, who could blame them? This leaves most unsure patients to diagnose themselves and adjust their dosage through trial and error based on cannabis results and availability. With no guidance however, many patients accidentally find themselves abusing the herbal supplement. Some rogue doctors have researched cannabis to further promote its use as a natural medicinal substance. Neuroscientist Dr. Michele Ross, explained to Reset about her theory that cannabis is the most versatile preventative medicine. “It protects your DNA from being damaged and slows down the aging process.” She actively treats marijuana as a sort of vitamin, by taking a small doses every morning for overall health benefits. She warns that too much can deregulate the endocannabinoid system. What Could Be Some Health Benefits? Over 1.6 million Americans are diagnosed with cancer per year, and over 600,000 of them will die from it. 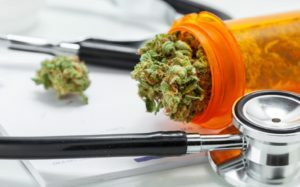 It’s not unknown that marijuana relieves side effects of chemotherapy, but in August 2015, the National Cancer Institute (NCI) released a report on their website which stated, “Marijuana kills cancer.” In these studies, however, it was largely tested on animals. The results found after a 2-year study, groups of mice and rats were given various doses of THC by tube feeding to test on a variety of cancerous cells. They found that there was a reduction in tumor growth, assisting greatly with liver cancer and colon cancer. Our bones have their work cut out for them, undergoing a continual cycle of repairing and rebuilding themselves. THC has proven to increase bone metabolism, which assists with maintaining strong and healthy bones. Osteoporosis and osteoarthritis, bone diseases that may occur with age, are also reduced due to certain marijuana compounds that facilitate new bone cell formation. Glaucoma causes damage to the optic nerve, which according to KE Eye Centers is the “cable” that carries messages from our eye to the brain and allows us to see. One cause of optic nerve damage in glaucoma is higher-than-normal pressure within the eye. The only way to control glaucoma and prevent vision loss is to ease this pressure. Individuals with glaucoma participated in a study back in 1970 that proved smoking marijuana assisted in lowering the glaucoma induced eye pressure. The list could keep going, but it would take a very thick book to go into detail on all the preventative health benefits that is found in marijuana. From fighting age-related diseases, to assisting with anxiety and depression, marijuana has an indisputable medicinal factor that should be explored. However, due to the skeptics in power that only see it as an abused drug, marijuana may never reach its full potential as possibly one of the top preventative herbal medicines to hit the shelves. The post Health Benefits & Medical Marijuana appeared first on Smoking With Style.